The past couple of years has seen a rise in the fame of coconut oil for a vast array of health benefits. This tropical oil has been purported as somewhat of a superfood. The increase in the popularity of coconut oil is due to its high concentration of what is known as medium-chain triglycerides, or MCTs for short. What exactly are MCTs, and how can this type of fat be beneficial to your health? 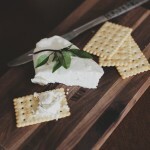 Medium-chain triglycerides are a type of saturated fatty acid that is found mainly in some types of tropical oils, such as palm and coconut, and in many dairy products. Most dietary fats are long-chain triglycerides. The difference between medium and long is actually based on the number of carbon atoms that are combined. While long-chain triglycerides contain 13 or more carbon atoms, MCTs only contain from 6 to 12 of these atoms as discussed by Lana Burgess in an article for Medical News Today. The more carbon atoms combined in these fats, the longer it takes for the body to digest. Because long-chain triglycerides take longer for the body to break down, more gets stored in the body instead of being used right away. MCTs, on the other hand, can be broken down fairly quickly and used to fuel the brain and body much more rapidly. MCT oil is synthetically made in the lab by combining the medium-chain fatty acids from coconut oil and palm oil through a process that is explained in an evidence-based article found on Healthline. Most MCT oils are made of two types of medium-chain triglycerides. Caprylic acid contains 8 carbon atoms, and capric acid contains 10. Man-made MCT oil is healthier than the coconut and palm oils from which it is obtained. This is because the tropical oils contain both medium-chain triglycerides and the potentially harmful long-chain fatty acids. 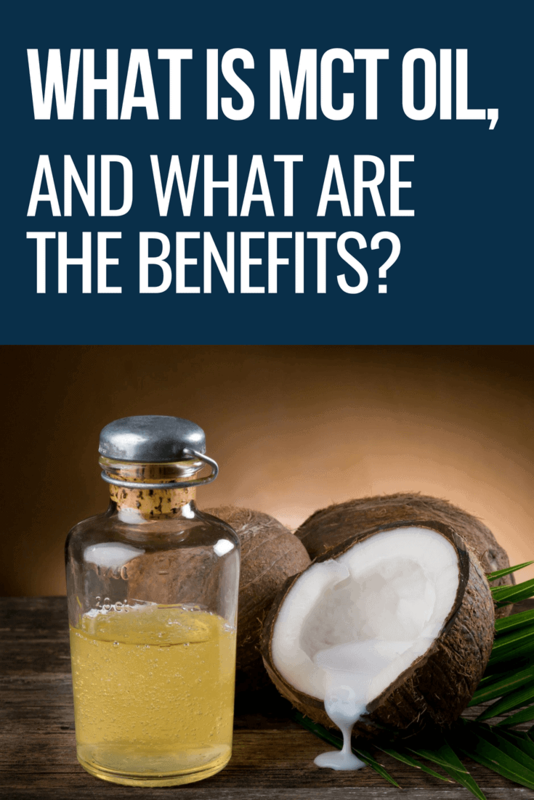 Additionally, coconut oil’s main claim to fame for MCTs is a higher concentration of lauric acid, according to Emily Creasy in an article for Livestrong.com. While this fatty acid is also considered to be a medium-chain triglyceride, it contains 12 carbon atoms. This puts it so close to long-chain fatty acids that it is considered to have more of a neutral rather than a positive effect on the body. Although medium-chain triglycerides are a type of saturated fat, they are considered to be very beneficial to the body. The major benefit of MCTs is due to their ability to aid in metabolism and weight loss, though researchers are finding additionally uses. Because fats take longer for the body to digest, they can help you to feel fuller for a longer period of time. This might help to reduce snacking in between meals, thus reducing the total number of calories that are consumed throughout the day. However, all fats have this property even though long-chain triglycerides may not be so beneficial for those trying to shed those extra pounds. Medium-chain triglycerides are a different story. These types of fat can move more quickly to the liver where they are oxidized to be used to fuel the body rather than be stored for later use. Long-chain triglycerides take the long way through the digestive tract, allowing more of these molecules to be absorbed and put away in adipose tissue to be used by the body later. Various research studies by St-Onge, et al, published in Obesity and The Journal of Nutrition show that medium-chain triglycerides can be effective in helping individuals to reduce the amount of fat that gets stored in the body while also decreasing the amount of adipose tissue that is already present in the body. When it comes to using MCT oil to lose weight, it is important to replace current sources of fat with MCTs rather than adding these fatty acids to a diet. The rate at which the body burns calories can be an important factor when it comes to losing weight. Metabolism is also important for breaking down food to use as fuel when it is needed, such as during exercise or other activities. According to research studies, such as that in The Journal of Nutrition, medium-chain triglycerides can increase energy expenditure. This means that the calories from MCTs are more quickly available to the body to use as fuel rather than saving it away in fat tissue. An increased metabolism is important when it comes to weight loss. Once the body has burned current food sources for energy, more fuel is necessary to keep the body going with a higher metabolism. This means that excess fat stores can be dipped into as a necessary fuel source, allowing for weight loss and increased energy. A research study published by Riad, et al, that is published in the journal Nutrients, shows that MCTs may actually promote a healthy balance in the ecosystem within the intestines. Why does this matter? A lot of processes occur in the lower digestive tract, many that can affect health over the entire body. According to information published by Bull and Plummer in Integrative Medicine: A Clinician’s Journal, an improper balance of microbes within the gut can be traced to a range of systematic dysfunctions throughout the body. The immune system. By creating a barrier between pathogens and other areas of the body or through competition efficiency, beneficial microbes can help to prevent health problems in other areas of the body. The gut brain connection. A balanced in intestinal flora can help to reduce anxiety and depression, also reducing the affect that these mental conditions can have to create an irritable or inflammatory bowel condition. Metabolic syndromes. When the gut is out of balance, this may increase the risk of obesity or diabetes. By helping to create and maintain the balance of microbiota in the digestive tract, MCT oil can help to prevent certain inflammatory or degenerative conditions that can occur when the gut is out of balance. There is quite a bit of interest in how medium-chain triglycerides might be beneficial regarding brain function in patients with Alzheimer’s Disease. Healthy individuals rely on glucose to fuel the brain, but the ability of the brain to use this simple sugar is drastically reduced in those with Alzheimer’s. Because fatty acids are broken down into ketones as a source of energy rather than glucose, it is believed that MCT oil might be an alternate fuel source for the brain for patients with certain types of dementia. While this seems like it would make a lot of sense, studies have yet to prove this connection. As of yet, research is mixed and contradictory on this topic, according to information provided by the Alzheimer’s Drug Discovery Foundation. Although there has been no conclusive proof of the benefits of MCT oil for all types of dementia, certain Alzheimer’s patients may experience more benefit than others. The APOE4 seems to be relevant in these cases, with those who have a change in this genome being more susceptible to the benefits of medium-chain triglycerides. Athletic performance and stamina. Medium-chain triglycerides might help to boost energy levels during exercise. Cholesterol levels. MCTs may help to lower LDL levels, especially when used instead of long-chain fatty acids. Diabetes. Early studies by Eckel, et al, show that MCT oil might help to increase insulin sensitivity and decrease the risk of insulin resistance in those with diabetes risk factors. Because MCT oil is rapidly converted into ketones, it might be advisable for those with Type 1 diabetes to avoid its use. This is because too many ketones can lead to ketoacidosis, which can be a potentially dangerous condition. Additionally, while medium-chain triglycerides can be utilized by the body more rapidly than basic dietary fats, they are still saturated fats. Fats add calories to the diet, which can lead to weight gain. Medium-chain triglycerides can be found in natural food sources, so those who wish to eat clean may not want to add synthetic products such as MCT oil. However, there is no worry about long-chain fatty acids when using MCT oil in place of other dietary fats. MCT oil is a synthetic form of fat that is easy for the body to break down to use for fuel. Many health benefits are associated with medium-chain triglycerides, especially when compared to their long-chain counterparts. This type of fatty acid can be great for those who wish to lose weight. Medium-chain triglycerides are still fat. Those who are trying to lose weight will still want to consider whether or not the risk is worth the potential benefits of using MCT oil instead of other fat sources. Remember to use MCTs to replace other forms of fat rather than adding more to the diet.